Welcome to the ALL STOP! Survival & Safety Training information and booking portal. By completing as many of the fields below as possible, our team can more quickly and effectively respond to your request. Should you have more than one course requirement or have any questions please include them in the COMMENTS box prior to submitting. Thank you! Prerequisite: Previous experience in Rigging, Lifting, Slinging and/or Crane Work is an advantage but not a requirement. Qualified means one who, by possession of recognized certificate or professional standing, or who by extensive knowledge, training and experience, has successfully demonstrated his or her ability to solve or resolve problems related to the subject matter (OSHA Subpart C – General Safety and Health Provisions §1926.32). Safety is their number one concern. Very professional and polite staff. 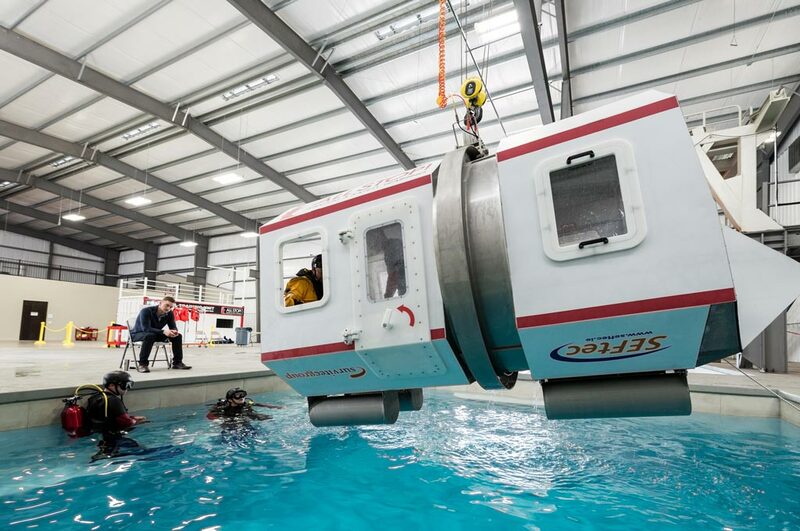 Just did my HUET class here. Staff was very understanding about my anxiety, and worked with me to complete course. New facility, very accommodating. Would definitely recommend this facility for your training needs. All Stop! Is running an excellent training facility. Everyone is knowledgeable, friendly, and helpful. Their facilities are clean and comfortable. I will be back for my next training class. Highly recommend. Professional staff, excellent facility. All equipment was clean and orderly. Trained here back in February for BOSIET. I’ve been recommending peers to train at All Stop since, these guys are doing it right. Everyone was friendly, the instructors were very patient and knowledgeable, the exercises were conducted with extra safety precautions and only when all students were all comfortable with the tasks, and the company was exceptionally thoughtful with details like ample showers, gear and towels to borrow if you did not bring your own, quality complimentary lunch, plastic bag dispensers for wet clothes, etc. All Stop! offers the cheapest BOSIET course in Houston and is top quality, so it's win-win.